One of the perks of travelling Qantas First Class is that you get a complimentary chauffeur driven ride to the airport, and from the airport to your destination. I have written about how I like a booked hotel transfer before. But this is from my home. Squeal! Now, this is not offered without limits – ithere are are a range of terms and conditions, including restrictions on distances for pickup and drop off. The actual service is outsourced, and that is where the process slightly falls down. The other difficulty is the bag count. 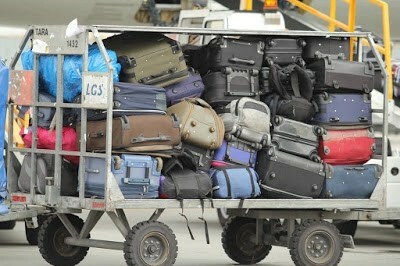 You need to enter the number of bags you are carrying with you – but there is no facility to distinguish size and scale. So in our case, the two of us had 2 bags each plus cabin luggage. So we said six, and of course that meant we get sent a people mover. A very comfortable people mover, but a people mover none the less. The day before – a Sunday, the outsourced service rang to confirm, but it wasn’t immediately obvious that it was the company and not Qantas that was calling. So of course, I asked about the arrangements for our arrival in London. The direct but helpful caller – then had to say, ‘we don’t deal with that – you’ll have to contact Qantas about that’. It sort of destroys the illusion of seamless service really. On the bags issue – it was even worse in London. Because of our bag count – and maybe their usual clientele they had reserved 2 cars for us. This seemed a bit extreme. Our cockney sounding driver(s) were not phased. The took all our bags with them to the two Mercedes S class limousines in the car part. Sized up their ability to fin in the respective boots, and asked us if we would be OK with just one car. Despite the appeal of having our luggage travel by separate car – I resisted.